Hello Rosemary, I thought that England was supposed to be rainy and foggy, yet all your beautiful flower photos are drenched with sunshine. We have been having a cold and rainy spring--the one day the sun was out the temperature shot to almost 40C--a preview of Summer! Hello Jim - I can't remember when it last rained so we must be due some soon - the weather is great at the moment and long may it last. A lovely collection of flowers that would grace any botanical establishment. A happy colourful Easter to you. Is it happy walking over Easter for you Bob? whatever, have a lovely weekend. Sensational Rosemary. Each and everyone of your photos a masterpiece. Happy Easter to you. A few years ago my husband hid Easter eggs for me and we had a huge rain storm and they all about floated away. Ah! that is very amusing Janet. 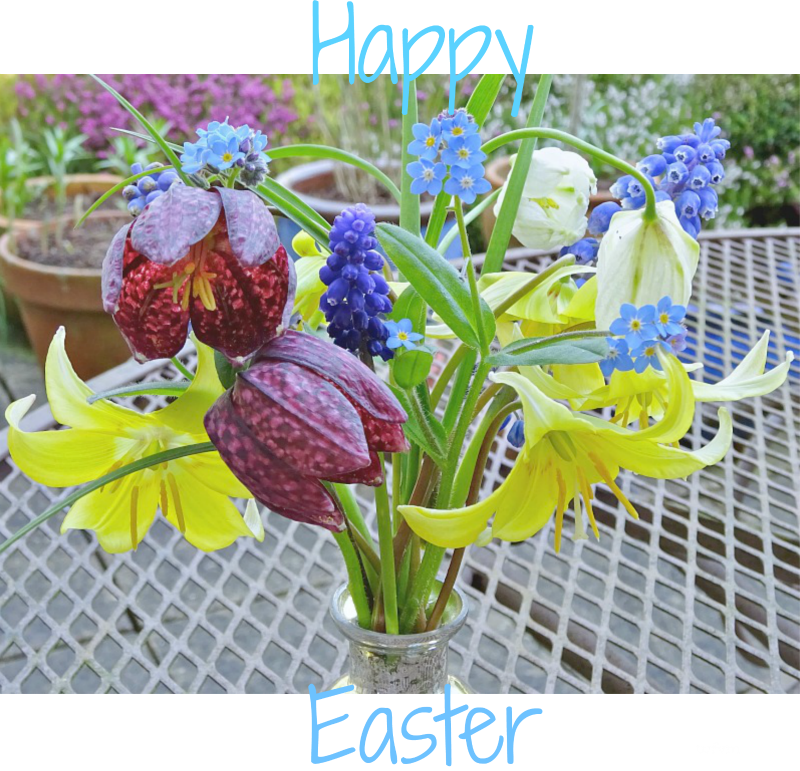 Lovely photos and Happy Easter to you, too, Rosemary! Happy Easter to you too Margaret - we are celebrating this evening with your nut-roast, looking foward to trying it as it smells delicious. Happy Easter, Rosemary! 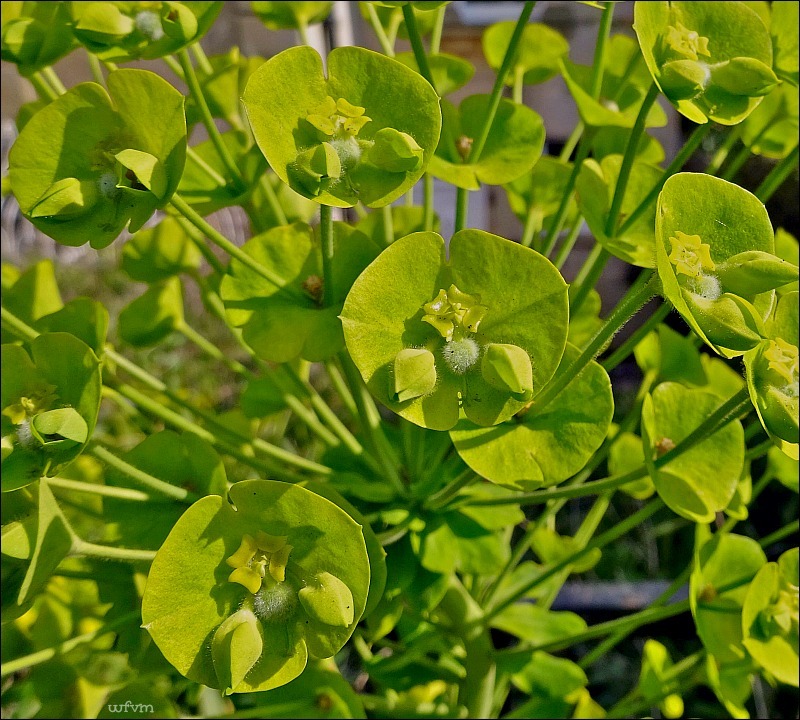 I am SO hungry to see beautiful Spring flowers. It's snowing here today. Lovely, lovely flowers that speak of spring, hope and Easter! Enjoy your weekend! Thank you very much Lorrie - hope you have a happy family time this Easter too. I wish you happy Easter too! Thanks for sharing these beautiful garden pictures. 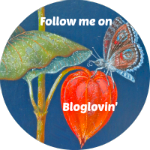 I especially like your Erythroniums. 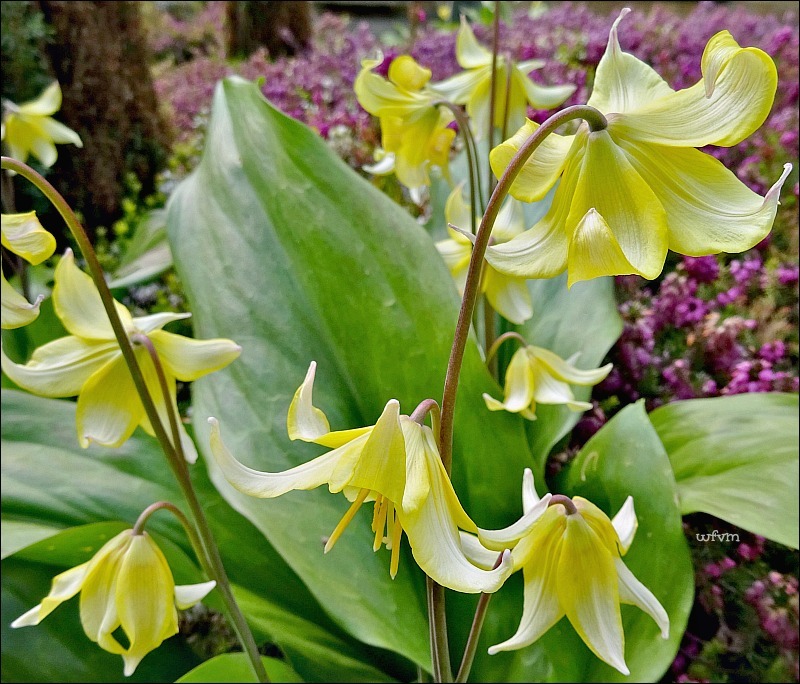 I have never heard of or seen Erythroniums before, but think they look very beautiful. 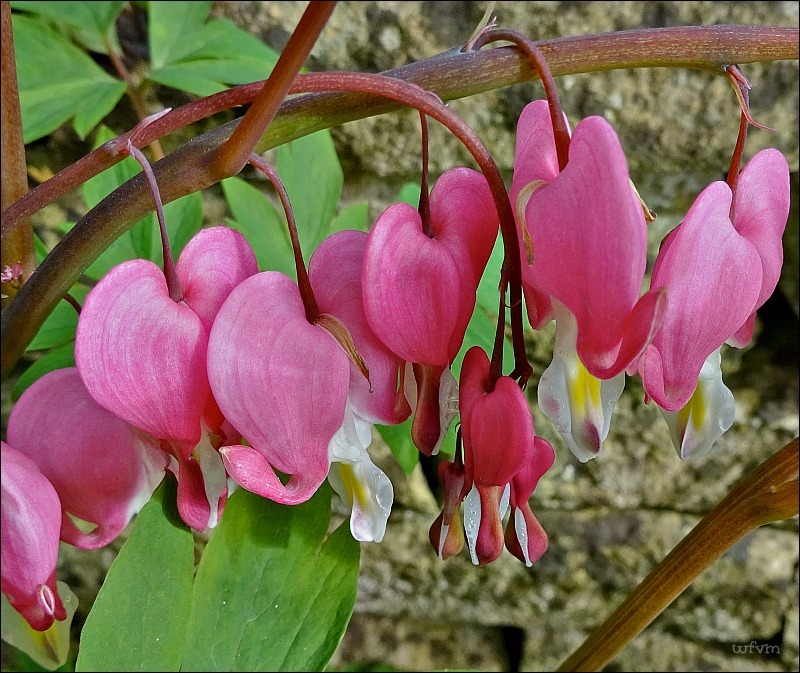 Dear Lisa - Erythroniums come in several shades including pink - they are a native woodland plant from north America. Have a lovely Easter weekend. Your garden looks beautiful. I wish you and your family a very Happy Easter. Oh how beautiful are your flowers Rosemary - blossoms and lilies lovely, but the blue forget-me-nots and lime green euphorbia are what caught my eye - I love both so much. 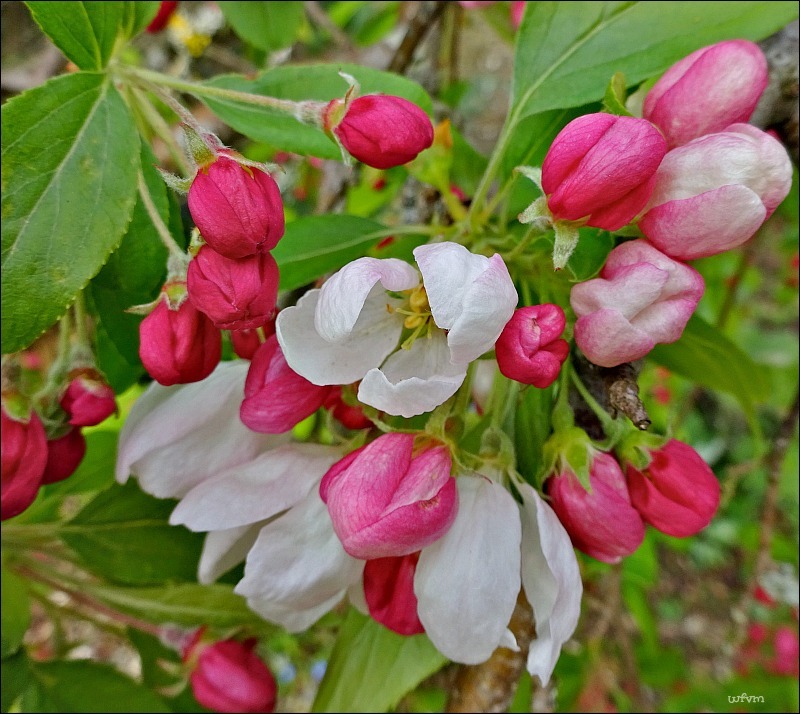 How very beautiful your Easter garden is - love all the pretty flowers, forget- me-nots, blossom, and Spring is such a wonderful time of the year. A Happy Easter to you too in your lovely garden! Hello, Rosemary. I can’t help but feel joyous to see these cheerful, powerful blooms in your garden. You nicely captured their energy to live and beauty as always. 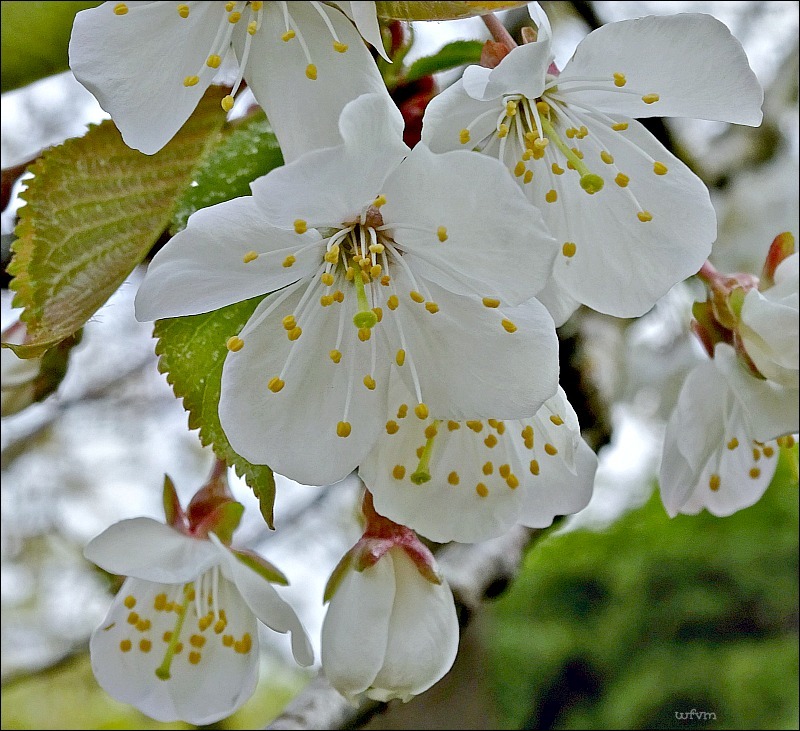 Is the sixth image cherry blossoms or any other blossoms of fruit tree? They look like multiple-petaled mountain cherry blossoms which come out with reddish leaves at the same time. I like the white lily with forget-me-nots at its foot. 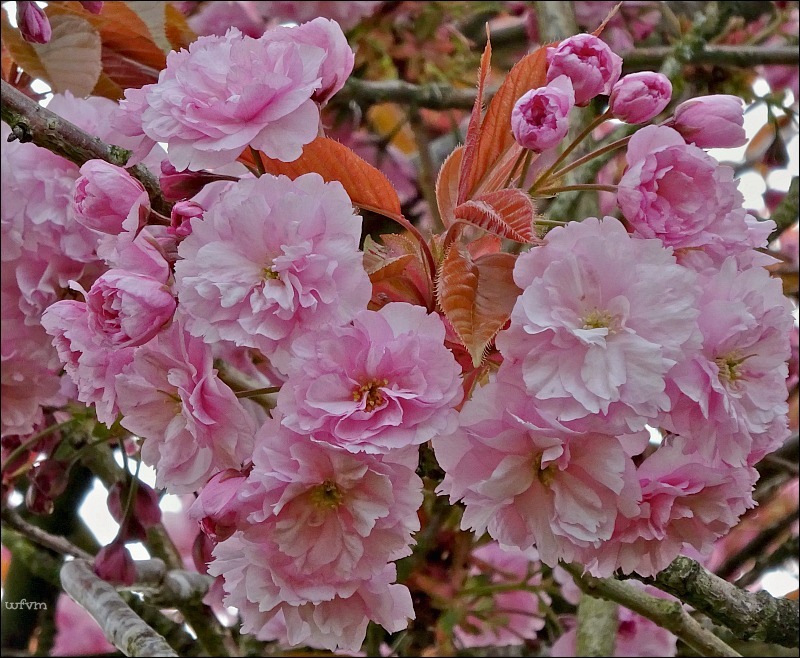 Hello Yoko - yes, you are right it is an ornamental cherry tree not a fruit tree - the blossom always reminds me of ballet dancers tutus. 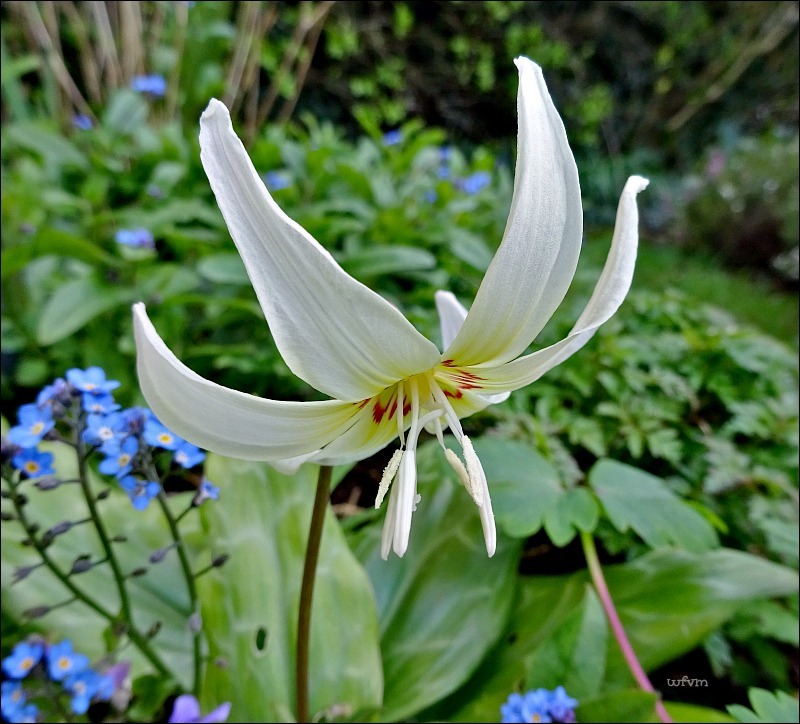 The little white lily grows wild in the forests of north America but here it is a garden plant, it is very pretty.